Sepco Mogul conduit body of trade size 2-inches, protects and routes the rigid/IMC conduits through two threaded taper tapped hubs oriented in 90-degree. 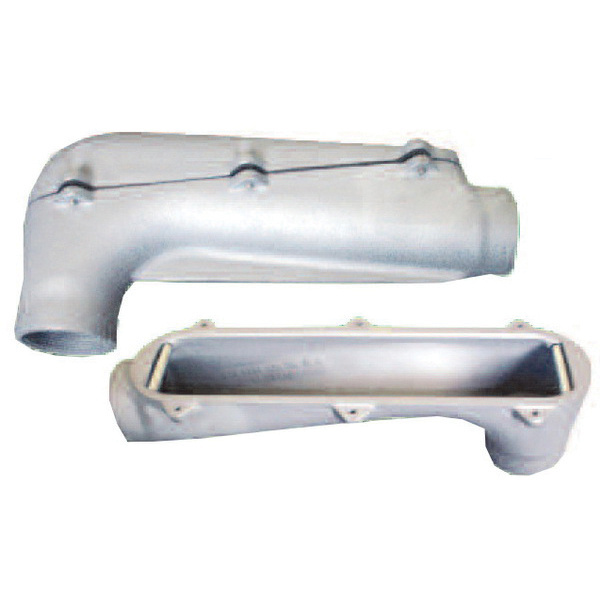 This conduit body in hot-dipped galvanized finish, features malleable iron construction. Type LB conduit body with capacity of 145-Cubic-Inch, accommodates three 300-MCM conductors. It offers back side access to the conductors for tapping, splicing, maintenance and future system changes. It has a dimension of 14.65-Inch x 3.11-Inch x 6.38-Inch. This large conduit body with cover, gasket and roller, gives enough space for damage-free pulling of heavy conductors. It has raised cast cover that provides extra space for wiring area. Conduit body is cULus/UL listed.